Well it was only a matter of time before I did something monumentally stupid in this new year. But I certainly didn't think it would be so soon as in the first week. So what happened? Well I had removed one of my upgrade boards (GTIA V-Gate) that had a tied in connection to the U1MB that was also in the system. 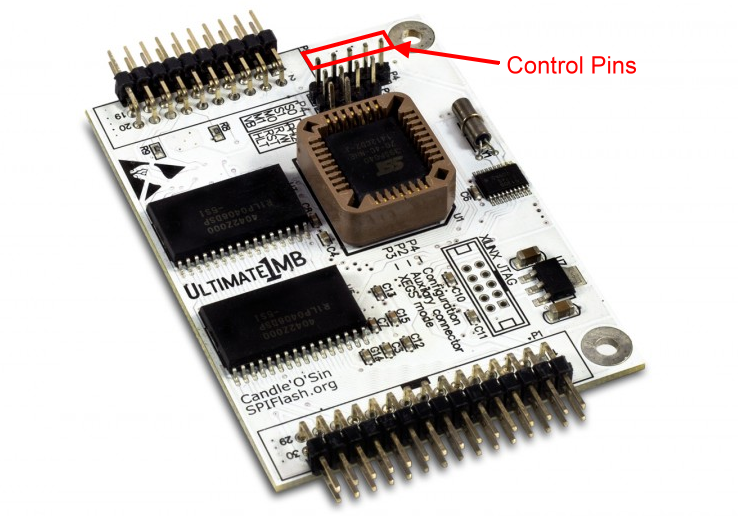 That tied in connection was to one of the control pins (S0) on the U1MB P4 header, so as to be able to enable/disable the V-Gate board via the U1MB Setup Menu. I had to assemble another GTIA V-Gate board and install it, since I had given my first one away. 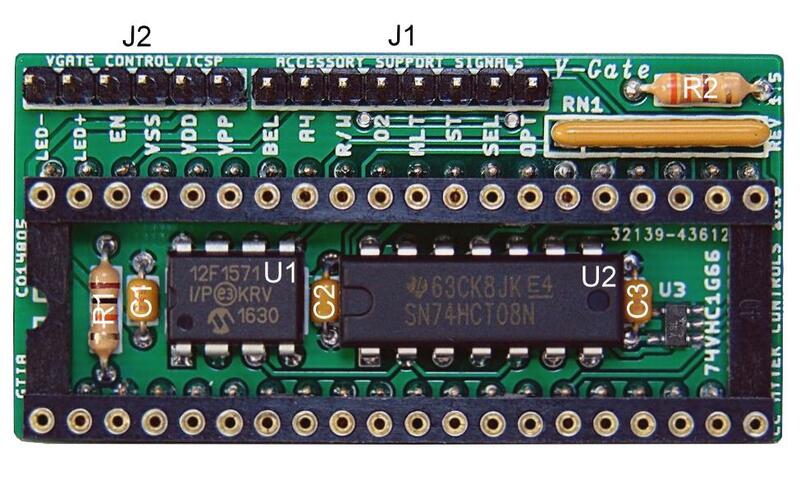 This was rather important since I now had most all of the U1MB's P2 header connections coming from the accessory support header (J1) on the V-Gate board (without this, the U1MB was dead in the water). The only problem was that I had used a 4-pin header connector for the auxiliary control header (J2) connection on V-Gate instead of the 6-pin that I was suppose to (didn't have a 6-pin connector at the time). So not paying attention, I plugged it in right next to the J1 header (only now offset by 2 pin positions to the right) which meant I had just connected the 'EN' line which was coming from the U1MB S0 control pin to VDD (+5 VDC). Needless to say what was connected to that control pin on the U1MB did not like that. So what was connected? 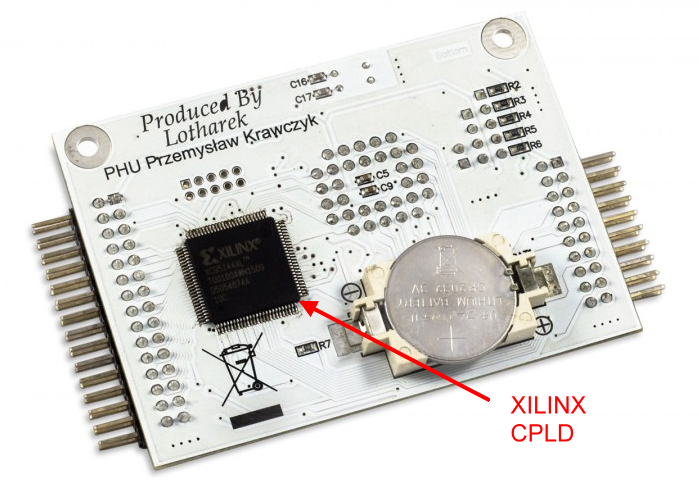 The XILINX CPLD chip, which is the surface mount device with a bazillion very tiny pins on the bottom side of the U1MB board. When I powered up the system the XILINX chip got fried and began getting as hot as a pistol This remained true even after I removed the offending control pin connection, and unfortunately the U1MB board no longer works. Luckily I had a replacement U1MB waiting in the wings, and after updating it's firmware it runs like a champ. at least you did not burn the house down and have to tell that story to the fire dept. So anyone interested in a burned out U1MB? Due to the way it happened, I suspect that only the XILINX chip needs replacing. But my skill set is no where near good enough to de-solder and replace it. Any takers (for FREE)? PM me if interested. If you wait until I get back in April, I can repair it for you. Thanks Bryan for the offer to repair it, but 'The Doctor' is going to be the new owner. Since I got that particular board for free myself, it just feels right to pass it on. On a side note, I have a SMD re-work station and inspection microscope, so I can re-work anything you need now.